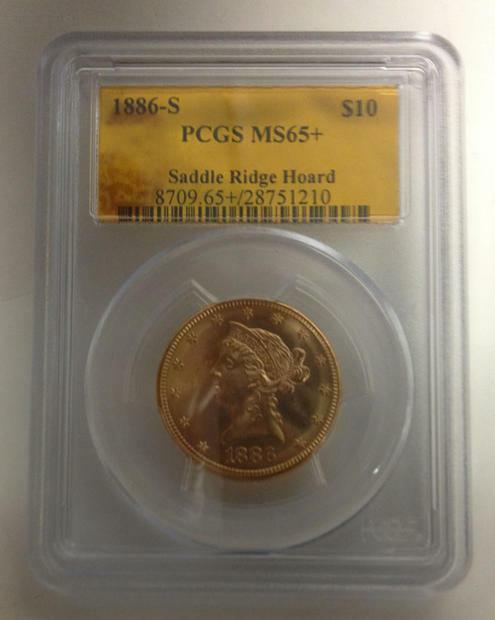 The Old Mint in San Francisco is preparing to display and auction a gold coin, from The Saddle Ridge hoard of gold coins dating back to the 1800s. The Saddle Ridge hoard was found back in February by a couple while walking their dog. News reports by all the major networks gave account of this rare and lucky find.The treasure, contained in eight buried cans, consists of four $5 gold pieces, fifty $10 gold pieces, and 1,373 $20 double eagles. The current value of the coins all together is estimated at over $10 million. The exhibit opens on Tuesday 27th of May. Presentations will begin at 7:30 pm followed by an auction at 8:30 pm of an 1874-S $20 gold piece, one of the first coins struck at the Old Mint.